Most people are drawn to trading because of the opportunity to make a great income in a challenging field. When things are going right, trading feels like it's easy money. When things are going wrong, trading causes you to beat yourself up — over and over again. 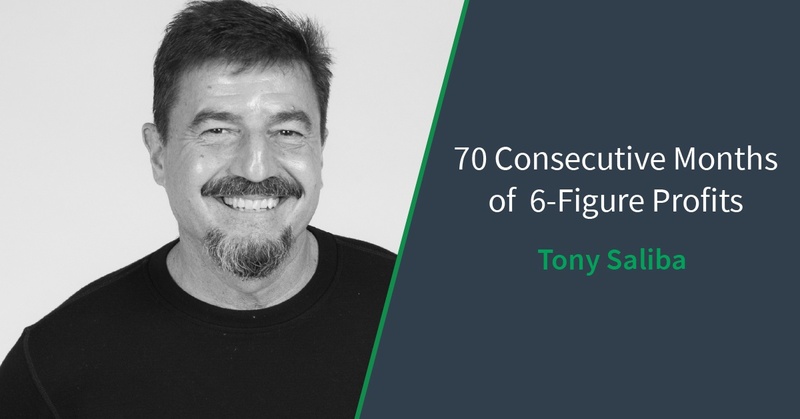 This week, we continued our August conversations with trading legend Tony Saliba, a man who knows trading's ups and downs (and what it takes to overcome them) well. His trading career spans all the emotions: from nearly blowing up his trading account, to self doubt, to trading 1-lots, to a streak of 70 consecutive 6-figure months. How to set baseline monetary goals in trading. Be sure to subscribe to Limit Up on iTunes, Google Play or SoundCloud to get the fresh episodes each week delivered to your inbox. We have an incredible lineup in August, including Market Wizards Linda Raschke and Tony Saliba.